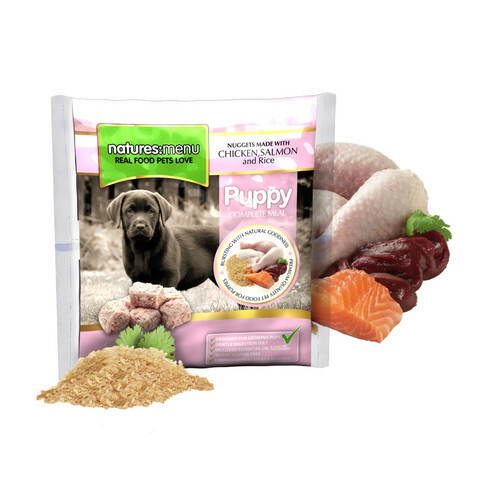 A Complete and Balanced meal created with higher protein with puppies in mind. Puppies can be weaned onto this product. They can then begin to have our other nuggets meals at 16week of age. We recommend also feeding some of our raw meaty bones and chews throughout the week for the health of your dogs mouth, teeth and natural behaviours. Avoid the harder Knuckle or Marrow bones with puppies. Most puppies will enjoy and benefit from learning how to safely cope with raw meaty bones and chews, when introduced to them as puppies. This product contains all the essential minerals with Calcium and Phosphorus in natural correct ratios.